IRS urges taxpayers to hire a CPA "
The Internal Revenue Service is once again warning taxpayers to use a CPA and be on the lookout for unscrupulous income tax return preparers, one of the most common “Dirty Dozen” tax scams seen during tax season. The vast majority of tax professionals provide honest high-quality service, and CPAs, EAs and tax attorneys must meet strict educational and ethical requirements to maintain their professional credentials. But there are some dishonest tax preparers who set up shop each filing season to perpetrate refund fraud, identity theft and other scams that hurt taxpayers. That’s why unscrupulous preparers who prey on unsuspecting taxpayers with outlandish promises of overly large refunds make the Dirty Dozen list every year. •Ask the tax preparer if they have a professional credential (enrolled agent, certified public accountant, or attorney), belong to a professional organization or attend continuing education classes. A number of tax law changes, including the Affordable Care Act provisions, can be complex. A competent tax professional needs to be up-to-date in these matters. Tax return preparers aren’t required to have a professional credential, but make sure you understand the qualifications of the preparer you select. •Check on the service fees upfront. Avoid preparers who base their fee on a percentage of your refund or those who say they can get larger refunds than others can. •Always make sure any refund due is sent to you or deposited into your bank account. Taxpayers should not deposit their refund into a preparer’s bank account. •Make sure your preparer offers IRS e-file and ask that your return be submitted to the IRS electronically. Any tax professional who gets paid to prepare and file more than 10 returns generally must file the returns electronically. It’s the safest and most accurate way to file a return, whether you do it alone or pay someone to prepare and file for you. •Make sure the preparer will be available. Make sure you’ll be able to contact the tax preparer after you file your return – even after the April 15 due date. This may be helpful in the event questions come up about your tax return. •Provide records and receipts. Good preparers will ask to see your records and receipts. They’ll ask you questions to determine your total income, deductions, tax credits and other items. Do not rely on a preparer who is willing to e-file your return using your last pay stub instead of your Form W-2. This is against IRS e-file rules. •Never sign a blank return. Don’t use a tax preparer that asks you to sign an incomplete or blank tax form. •Review your return before signing. Before you sign your tax return, review it and ask questions if something is not clear. Make sure you’re comfortable with the accuracy of the return before you sign it. •Ensure the preparer signs and includes their PTIN. Paid preparers must sign returns and include their PTIN as required by law. The preparer must also give you a copy of the return. •Report abusive tax preparers to the IRS. 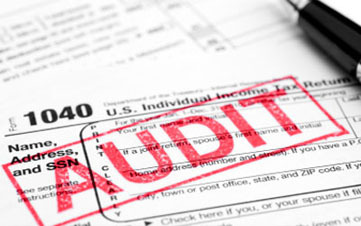 You can report abusive tax return preparers and suspected tax fraud to the IRS. Use Form 14157, Complaint: Tax Return Preparer. If you suspect a return preparer filed or changed the return without your consent, you should also file Form 14157-A, Return Preparer Fraud or Misconduct Affidavit. You can get these forms on IRS.gov.